Coinciding with today’s release of the Tomb Raider movie Square Enix has released a teaser for the third game – Shadow of the Tomb Raider. The game is set for a September 14th and will cap off the trilogy known as the ‘third era’. This era started in 2013 with Tomb Raider and received a much lauded sequel in 2016 with Rise of the Tomb Raider. Shadow of the Tomb Raider was rumored to be in production since 2016 when a developer was spotted working on a presentation on a train. Since then we only got an announcement late last year stating it was in development at Eidos Montreal and Crystal Dynamics. Though the former developer is taking lead on this installment. Now an official teaser has been released. The teaser can be viewed below and shows Lara Croft returning for PC, Xbox One and PlayStation 4. This time the release will be simultaneously on all mentioned platforms. Although the teaser does not reveal much – it does give an indication where Lara Croft will do more of her tomb raiding. The dense vegetation and pyramids indicate the Mayan temples will be one stopping point. The opening shot features a partial eclipse – no doubt the Mayan calendar will feature heavily. I cannot overstate how much I am looking forward to this game. The rebooted franchise puts storytelling, character development and archeology before explosions, one-liners and curvy pixels. In many ways this reboot is what the Indiana Jones franchise used to be. 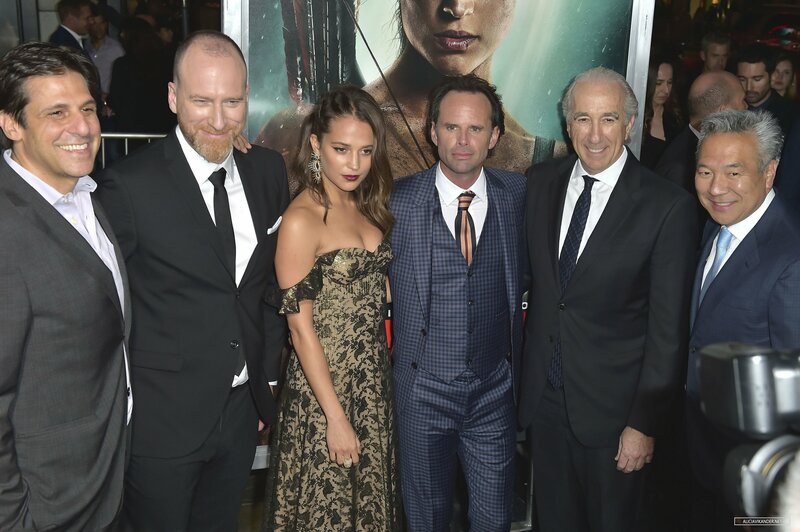 So today the Tomb Raider movie starring Alicia Vikander was officially released. I will review it on Saturday as I seeing it tomorrow evening. However, so far reviews have been mixed. Personally I cannot wait for an adaptation of Rise of the Tomb Raider. See you back Wednesday for the review. Below are some pictures of the premiere.